Google has advertised Nexus phones before. But this time, it looks like Google is going all in. 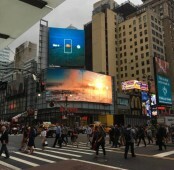 The device has not been announced by Google, yet there are already a bunch of advertising displays popping up around New York City. The ads look much like the teaser that was released around the same time the press got invitations to attend Google’s announcement event in San Francisco. We see an empty rectangle with “Oct 4” and the Google “G” across from the date. Some of the displays also feature a hashtag which reads “MadeByGoogle”. 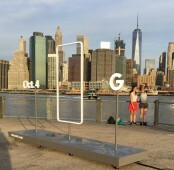 Google hopes that using the “G” will intrigue passersby who see it and wonder, “Hm, Google is making a phone?” since the average consumer likely doesn’t know what a “Nexus” device is at this point. We really hope Google commits to its Pixel devices and continues to push more advertising to get the word out that there are great smartphones made by companies other than Apple and Samsung. 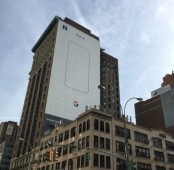 With advertising on this scale, this early on, we could expect to see the Pixel phones hitting carrier stores. Something that Google tried with the Nexus 6, but then stopped doing with the Nexus 6P and Nexus 5X. In any case, we are excited to see the Pixel phones once they are released. What do you think of the Pixel phones based on what leaks we’ve seen so far? Do you like the idea of buying through a carrier, or do you think Google is heading in the wrong direction? You must hehe just landed on planet earth, you have no idea what you are talking about. Difference between LG and Google: Google started marketing before the device is announced. LG didn't start marketing even after announcing LG V20.